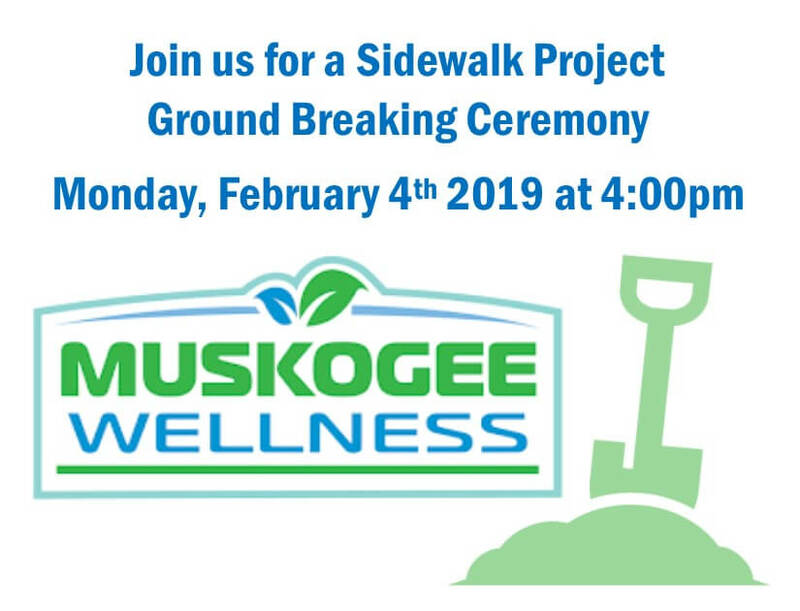 Join us for a Sidewalk Project Ground Breaking Ceremony on Monday, February 4th 2019 at 4:00pm at the entrance of the Muskogee Housing Authority – Port City Acres housing edition. We are pleased to announce the groundbreaking of a new Sidewalk Project on the North side of West Shawnee from Highway 69 almost to 40th Street. The project is expected to take approximately 60 days, weather permitting, giving walkers’ first access to the new sidewalk in early spring. The sidewalk project was envisioned and recommended by the Muskogee Wellness Initiative, Inc., who is an entity of the City of Muskogee therefore, construction for the project will be managed by the City of Muskogee. A majority of the funding for this project has been secured through the TSET (Tobacco Settlement Endowment Trust) Healthy Incentive Program for Communities. This TSET funding is designed to help cities, towns and municipalities adopt and implement best and promising practices for tobacco-free environments, access to healthy and nutritious foods, physical activity opportunities in an effort to improve the health, reduce risk factors for heart disease, strokes, cancer and improve quality of life for residents. Being that this matches closely with the mission outreach objective adopted by the Muskogee Wellness Initiative, Inc. of “Eat Better, Move More, and Be Tobacco Free”, it was a natural partnership for the project.